Nunavut is the easternmost and newest of Canada’s three territories, sharing a border with the Northwest Territories to the west and Manitoba to the south. It is the largest of all the provinces and territories of Canada and includes most of the Arctic Archipelago. The region has been home to a continuous population of First Peoples for roughly 4,000 years. 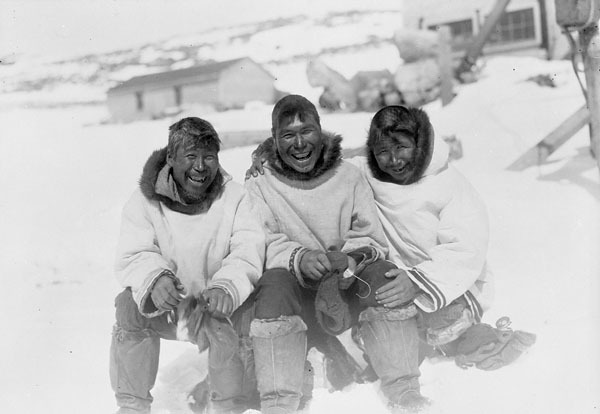 The Inuit are the dominant group in Nunavut, forming the majority of the population in all communities. Europeans first began exploring the area in the late 16th century while searching for the Northwest Passage. Throughout the Cold War, the Canadian government forced many Inuit from northern Quebec to relocate to the northern reaches of what was then the Northwest Territories, in an effort to assert its sovereignty over the Arctic Archipelago. The Canadian government compensated their descendants for the hardship several decades later in response to the Royal Commission on Aboriginal Peoples. In the late 1970s, inhabitants of what is now Nunavut began discussions with the federal government about the creation of a separate territory. This came to fruition in 1999 when Nunavut became the third Canadian territory, giving the Inuit greater autonomy. Nunavut recognizes four official languages: English, French, Inuktitut and Inuinnaqtun. This entry was posted in Flickr and tagged Flickr, Nunavut by Library and Archives Canada Blog. Bookmark the permalink.